Will Seeing A Marriage Therapist Help My Marriage? You are here: Home / News & Research / Divorce / Will Seeing A Marriage Therapist Help Save Your Marriage? RELATED: Is Marriage Counseling Effective? No relationship between two people is without complications. Whether it’s a friendship, a family connection, a working relationship or a marriage, there will always be some times of trouble and tension. When those times arise, a choice has to be made on how to deal with them. Should it be ignored? Confronted? Minimized? Should the relationship be scaled back, or even ended? Those questions are perhaps faced in dating and marriage more than any other interpersonal relationship. Most romantic partnerships come with an expectation of a finite shelf life – how many of us go on a first date assuming marriage will follow? 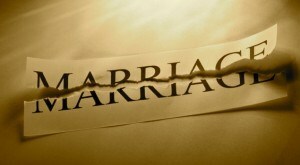 Even once the marriage knot is tied, adults today have to face the realities of high divorce rates across the country. Does Every Relationship Have an Expiration Date? Couples experiencing high levels of relationship distress have a lot of options when it comes to getting professional help. There are seminars, workshops and encounter weekends. They can get counseling from their religious leaders, participate in support groups, or access tons of resources online. However compared to all these, more time, money, effort and research has gone into developing professional marriage counselling (now frequently called couple’s therapy). Most people are familiar with the broad details of couple’s therapy. Both spouses or members of the relationship meet regularly with a trained neutral third party, usually a psychologist, professional counsellor, or social worker. They go through a semi-structured process of identifying and addressing the problems in the relationship. This usually involves a lot of work on communication, conflict resolution, and identifying the needs of each partner and ways in which they are and are not being met. It makes sense at face value that this would be helpful. Work and legal disputes are often solved through mediation. Bringing in a neutral point-of-view can help identify the details that each partner might miss in the heat of the moment. And certainly someone with training as a sort of relationship expert should be able to help the couple shape their interactions to make them healthier. But is there any way to know whether it can truly help? The past few decades in the fields of counselling and psychology have seen a growing emphasis on just such questions. Professionals are opening their techniques and theories to greater scrutiny than ever before. While this has been a little scary at times for the therapists themselves, it is a very good thing for the people seeking help. This emphasis on Evidence Based Practice and Evidence Based Therapy has led to a great deal of research on just how helpful counselling is. The exciting results of all this scrutiny are that couple’s therapy has been found to be effective at levels comparable to the treatment of anxiety and depression through individual counseling. It can reduce conflict, improve relationship satisfaction and even reduce the chance of divorce. Studies that look at the results of dozens and dozens of smaller studies (called Meta-analysis) have found that there seems to be a significant and long-term effect from marriage or couple’s therapy over time. However, the percentage of couples who benefit from the effect is not as high as you’d hope. According to some studies, immediately following treatment there is a 50-50 chance or less that the relationship will have recovered (meaning that both partners score below the cut-off for serious problems on relationship rating scales), and the proportion of those treatment effects goes down with time. Although the science is pretty clear in concluding that therapy can really decrease distress in a marriage, that this change can be seen in day-to-day functioning, and that the changes can last over long periods, these effects are nowhere near guaranteed. So where does that leave us? Hopeful? Discouraged? Confused? If a couple decide to go for therapy to try to work on their marriage or relationship problems, what might make their experience more or less successful? The first (and possibly best) answer is time. Couples who only go to one or two sessions with a couples counsellor or therapist are less likely to achieve their goals than those who are willing to stick it out. Not only does this give a chance for the treatment to work, it also gives the couple more time to form a strong team (or alliance) with their therapist and this connection has been shown to be the most significant component in therapeutic change. Another part of the commitment to treatment is a willingness by each partner to work on the ways he or she may be contributing to the distress. Sadly, there are some other factors that may simply be beyond control. For example, couples who have children or marriages in which one or the other partner has an unrelated mental illness should also prepare themselves for some greater struggles. As with most problems, the more complications there are, the harder it can be to make positive changes. Individuals and couples interested in getting into couples therapy can check with their health insurance providers or use online databases such as therapists.psychologytoday.com. Those without insurance, whose insurance does not cover marital therapy, or who are facing other financial hardship can check for government or charitable organizations who can help (such as through the United Way, 211 in many areas or Unitedway.org) or ask local providers if they can provide a sliding scale. The Clinical Representativeness of Couple Therapy Outcome Research. Wright, J.; Sabourin, S.; Mondor, J.; McDuff, P.; Mamodhoussen, S. Family Process. Sep 2007, Vol. 46 Issue 3, p301-316. The Efficacy and Effectiveness of Marital and Family Therapy: A Perspective from Meta-Analysis. Shadish, W. R.; Ragsdale, K.; Glaser, R.; Montgomery, L. M. Journal of Marital & Family Therapy. Oct 95, Vol. 21 Issue 4, p345-360. 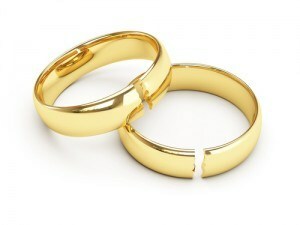 Treatment of Marital Conflict and Prevention of Divorce. Bray, J. H.; Jouriles, E. N. Journal of Marital & Family Therapy. Oct 95, Vol. 21 Issue 4, p461-473. Marital Therapy: Qualities of Couples Who Fare Better or Worse in Treatment. Hampson, R. B.; Prince, C. C.; Beavers, W. R. Journal of Marital & Family Therapy. Oct 99, Vol. 25 Issue 4, p411-424.